Are there domestic imitations? Absolutely – but when you buy those, you’re not guaranteed the integrity of the ingredients or method, which in turn can affect the taste. And the real deal tastes amazing. The driving factor among taste differences in Asiago PDO is the age. Fresh Asiago PDO is soft and buttery Fresh Asiago PDO and made from just whole pasteurized cow’s milk, salt, and rennet. Aged Asiago PDO is nutty and tangy and also boasts three ingredients – partially skimmed cow’s milk, salt and rennet. So, how do you make sure you’re getting the real deal? Make sure the rind has the word “Asiago” is pressed into it. And then, get cooking. This simple soup is packed full of flavor, but easy enough for a weeknight. 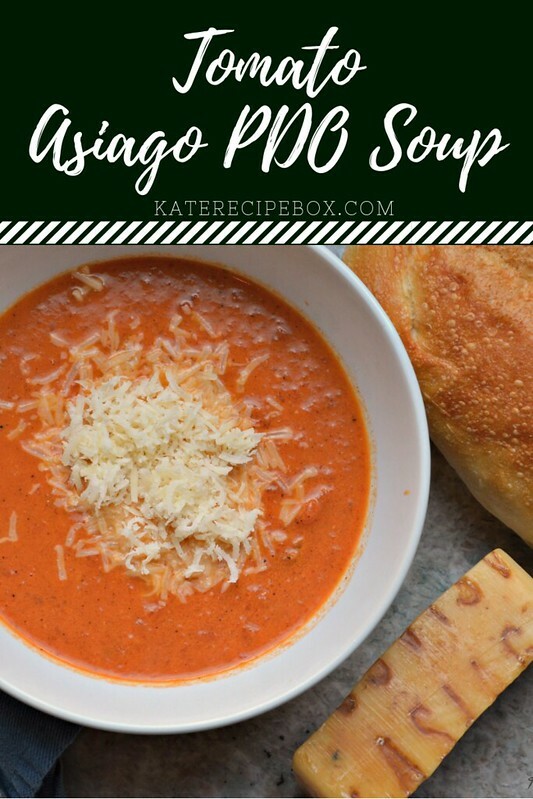 It showcases the flavor of the aged Asiago PDO beautifully, along with a little kick from the fresh pepper. It’s sure to warm you up on a chilly night! In a large, heavy-bottom pot, melt the butter. Stir in the garlic and cook until fragrant, about 30 seconds. Stir in the paprika, onion powder, and pepper and cook for an additional 30 seconds. Add in the diced tomatoes and chicken broth and cook until heated through. Blend the soup using an immersion blender or transfer to a blender. Return to the pot and heat until bubbling. Add in the tomato paste and stir until fully incorporated. Stir in the Asiago PDO and whipping cream. 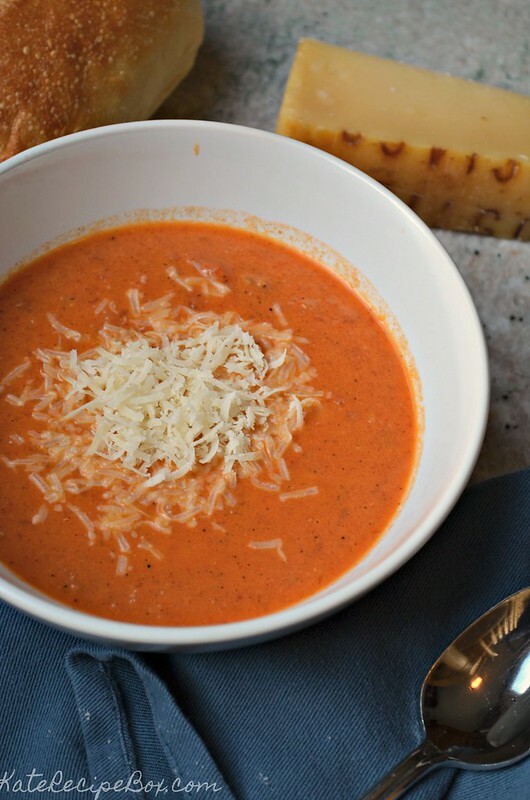 Let warn through for a minute or two, then serve – top with additional Asiago PDO if desired.